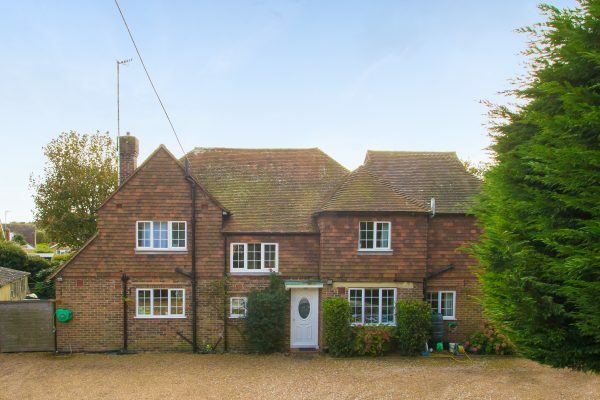 A substantial detached house set back from the Alfriston Road within easy reach of a parade of local shops, the Seven Sisters public house, Downs Leisure Centre and bus routes. Seaford town centre with its range of shops, restaurants, railway station and seafront is approximately a mile and a quarter distant. The versatile accommodation comprises four/five bedrooms (three with en suite facilities), sitting room, dining room, kitchen, separate utility, family room/bedroom five, study and family bathroom. There is a detached garage and parking for several vehicles. The property was built in the late 1940s and extended at a later date. Offering versatile accommodation to suit a variety of purposes, it was formerly the house of the headmaster of St Peter’s School and is currently operating as a Bed and Breakfast concern.